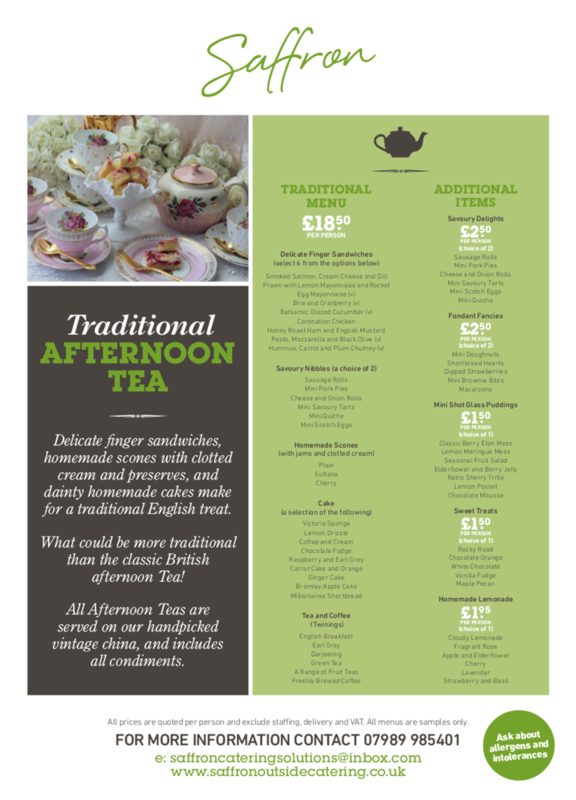 Traditional style afternoon teas are back in fashion and we can supply everything you need to make it a special occasion for your guests including delicate finger sandwiches, homemade scones with clotted cream and preserves and dainty homemade cakes all in a classic British style. A white china tea service professionally supplied by our experienced catering team together with cake display stands and the option on vintage crockery will ensure all the boxes are ticked when it comes to your afternoon tea event. If you are planning a small gathering, don’t worry, our afternoon tea catering options aren’t just for large events, we cater for events of all sizes. So down and see us if you’re in Birmingham, Nottingham, Leicester, Coventry, Derby, Soke on Trent, Tamworth or any of the surrounding areas.